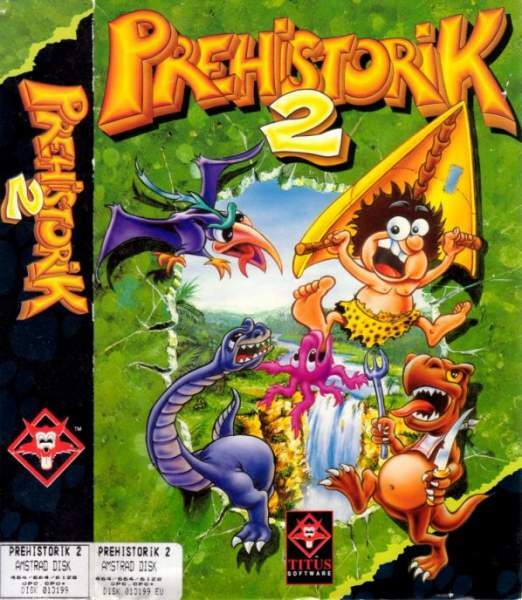 Prehistorik 2 takes up the story of its predecessor, for another caveman-era platform game. The hero must use his club to crush animal enemies, many of which then release bonus items to collect. He no longer needs to feed his clan, so there is no required minimum food target, unlike the original game. Other bonus items are located around the levels, while yet more can be found by using your club creatively and adventurously. There are bosses and passwrods after every few levels. The Amstrad version is one of the few games to use the CPC Plus features for lots of colours and sprites and full parallax scrolling.